The contest here is significant because it is split three strong ways. A three-cornered fight is on in the western Uttar Pradesh district of Saharanpur. The area saw some of the most communally charged electioneering in India so far with all top leaders, from Narendra Modi to Mayawati, making loaded statements during canvassing. Saharanpur is a Muslim majority area. The strength of Muslim votes can be gauged by the fact that the 9 of the 16 towns in Saharanpur which have Muslim majority means more than 50 per cent. Four towns in the district have over 70 per cent Muslim population — Kailashpur has as high a pooulation ration as 79.9 per cent Muslims. Deoband — one of the five Assembly segments in Saharanpur Lok Sabha constituency — is a centre of Islamic seminaries and exercises strong influence on the minority voters of this region. 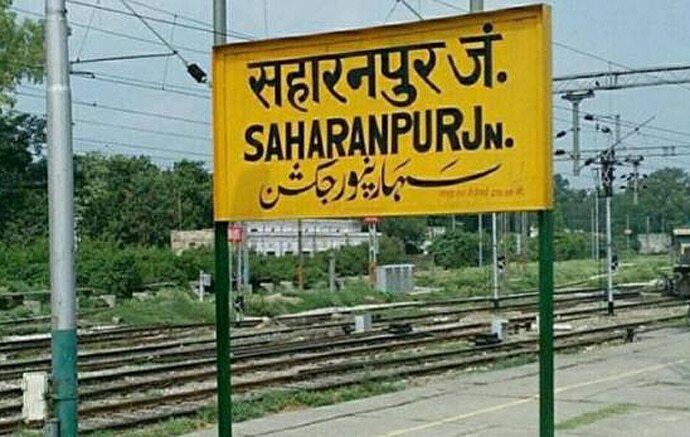 The contest here is significant because Saharanpur elected a BJP candidate in the 2014 Lok Sabha elections, despite the region being dominated by the minority community. Congress' Imran Masood — who had once threatened to chop off Narendra Modi's hands — faces challenger for Muslim votes in SP-BSP's meat trader-turned-politician Fazlur Rehman. The political battleground here is thus split three ways — between the BJP’s Raghav Lakhanpal, the sitting MP from Saharanpur, Congress’s Imran Masood, who apart from threatening to chop off Narendra Modi's hands, is also the nephew of five-time Saharanpur MP Rasheed Masood (who lost to Lakhanpal by 65,000 votes in 2014) and a relative newcomer to the political scene, Haji Fazlur Rehman, an influential businessman whose foray into politics began with the 2017 municipal corporation elections — which he lost to BJP’s Sanjeev Walia. Fazlur is contesting on a Bahujan Samaj Party (BSP) ticket. While Mayawati has asked Muslims in Saharanpur not to split their votes by voting for the Congress, her newest political rival, Bhim Army chief Chandrashekhar Azad, has asked the Dalits of the region to vote for Congress candidate Masood. "Masood helped the Bhim Army when no one else came out in its support," he said, referring to police cases against the Dalit group's members, following caste clashes in Saharanpur in May 2017. Recently, after Chandrashekhar announced his contest against Prime Minister Modi in Varanasi, Mayawati termed him an "agent of the BJP who wants to split Dalit votes". While the BJP has fielded last time winner Raghav Lakhanpal, a triangular contest will divide the Muslim vote and help the BJP. On April 5, PM Modi had lashed out at Congress candidate Masood during a rally in Saharanpur, saying, “Rahul Gandhi has special love for some people. “While they chant ‘boti-boti’, our response is ‘beti beti’ as we want to work for the upliftment of our daughters,” Modi said. A India Today ground report suggests, the view on voting for Modi is split in the region, with many beneficiaries of the NDA government schemes praising him but remaining non-committal on voting for him. This is one battleground that will be closely watched.